Remember the old public phone booths? A global institution, from the iconic red ones in the UK to the token-operated payphones in Italy. A place where you had to sometimes wait your turn, so in the meantime you struck up a conversation with other people in the queue? The phone booth was a neighbourhood institution, standing on almost every street corner of the urban landscape, a beacon in the countryside too, which allowed you to keep in touch with the world. So what role can we give these old dinosaurs that preceded mobile phones in this day and age? Cell phones were introduced a whole generation ago and now - 25 years later - they are mainstream, changing both our habits and the cityscape. These thoughts have driven lots of creatives all over the world to think about how to turn these urban relics into something more befitting our present-day society and lifestyle. Which is what also happened in Shanghai, where the studio from that city, 100architects was commissioned by MINI China through its Urban Matters platform - which fosters and engenders design solutions that address the new urban challenges - to create an upcycling project for the old phone booths on Yuyuan Road, one of Shanghai's historical streets. 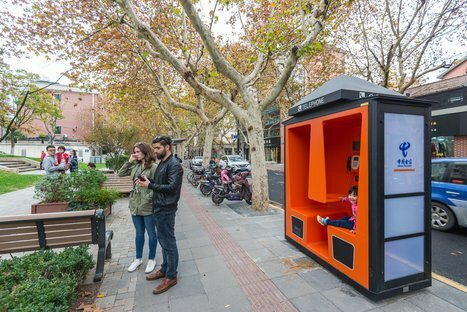 100architects thought carefully about the role of these urban structures in our contemporary city in the era of Smartphones and came up with a very clear response: The Phone Booths. They have turned these pre-mobile relics into tiny urban capsules that engage the general public and get them out of their solitary lives and into community life in the city. 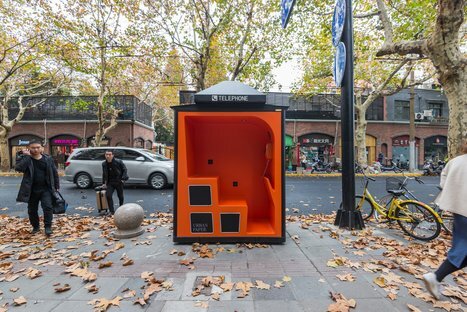 The team started from the premise that we didn't use the old phone booths just to make phone calls, they also gave users a shelter, a roof, an enclosed space, a sense of privacy. This innate capacity to generate a circumscribed space in the urban landscape was the thing that really grabbed the design team and they decided to work on this aspect and give it a contemporary take. So, instead of leaving the booth closed they opened it to face onto the footpath in order to connect with the rest of the public sphere, popping the bubble of life with our heads down and buried in our phones. 100architects came up with three different prototypes that foster interaction in a number of ways. They kept the old metal framework to make sure there was still a link with the past. Then they added LED lights to the three walls of the booth, turning them into small urban beacons at night, free Wi-Fi connection and USB charging sockets - popular for many people on the go or with time to kill. Some of them have seating, a newspaper rack, a small table, reading lights and even an emergency public phone. 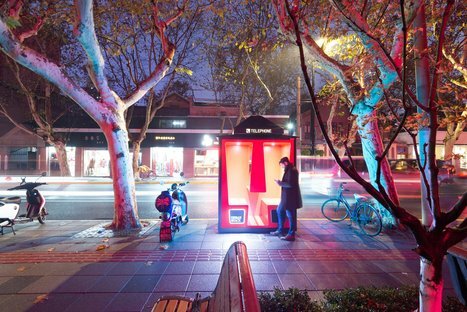 Five of these new booths designed by 100architects have been installed along a 900-metre stretch of the historic Yuyuan road in Shanghai. 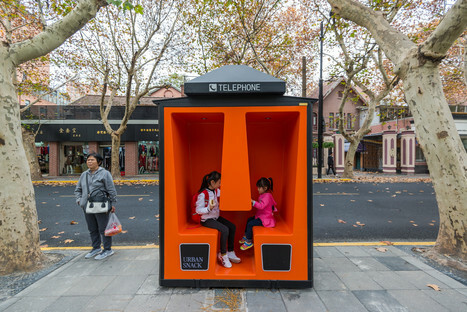 While the matte black outside is reminiscent of a traditional phone booth, the interior really makes a statement with its striking orange colour, turning these old phone booths into urban hubs for a modern-day city.